Deciding on a builder is possibly the most important and challenging step in creating your dream home. You need to choose someone who will build the home you want, at a price you can afford. There are many other factors to consider besides just price and design. You need to know that you will get the individual attention and customer service that you deserve. Building a new home is a detailed process, and you will want the confidence and security that comes from choosing the best home builder for your project. Once you have decided on the type of home you want, begin by making a list of home builders in your area. There are directories available like the National Association of Home Builders. Friends and family are a great source for referrals, because they will be honest about their experience. The internet is another good place to find new home builders in your area. Southland Custom Homes has been building quality homes in Georgia since 1980. Thousands of families have trusted Southland to build their dream home in the perfect location. After you have created a list of local home builders, you should research each one to find out more about them. Some important things to consider are years of experience, building locations, home prices, number of floorplans, and options for customization. For example, Southland Custom Homes has been in business since 1980. They offer over 120 exclusive home designs with unlimited custom options to fit every family. Other things to consider include building materials, registration with the local Home Builders Association, any awards or special certifications and any special savings options. All of these elements should be taken into consideration to select the best builder for your project. Southland Custom Homes uses high quality materials designed to save energy by making your home more efficient and environmentally friendly. Some of Southland's GREEN features include ZIPSystem wall and roof sheathing, low-E windows, Energy Star appliances and more. The internet gives us unlimited access to information and opinions. Use this to your advantage when shopping for new home builders. You can begin by checking the builder's website for references they have posted. It is also important to check other listing for reviews. If you have the opportunity to talk to previous customers, they will probably give you the best account of working with the builder. You should check as many sources as possible to get an accurate view of each builder. There are several questions you should ask each of your sources to learn more about their experience. Did the builder stay on budget? Did they complete their project on time? Were they able to handle any problems or issues? Did they answer your calls and questions in a timely manner? This information will give you better idea of the customer service that you may receive from a particular builder. Southland Custom Homes offers a Testimonials page on the website where families can comment on their home building experiences. Go to the Testimonials page here to see what others are saying and to learn more about the home building process with Southland Custom Homes. Before making your final decision, go and talk to the builders that you think will best suit your needs. This is the first step in developing a positive working relationship. If you don't like the builder after an initial meeting, chances are you won't like working with them while building your home. You should always choose a builder that you can trust. 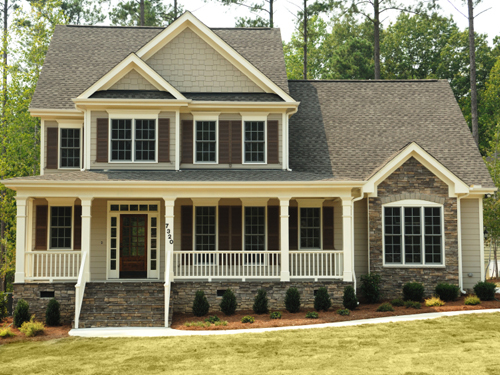 Southland Custom Homes has been a trusted home builder for over 30 years. Our mission is to work with you through every step of the home building process to ensure that you are left with the home of your dreams. Investing in a new home is a big decision, and so is deciding which builder to use. Take your time when selecting a new home builder. At Southland Custom Homes, we strive to provide the very best customer service to each client. Our homes are fully customizable to meet all of your expectations.